Operators of the state’s largest solar farm have yet to publicly market shares of the community solar project being built at Kearney’s technology park. 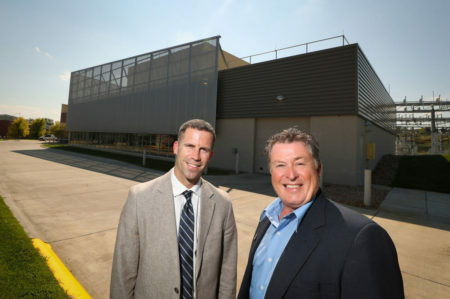 But six months before Chicago-based SoCore Energy completes the project in Kearney, organizers have already landed a high-profile taker that will purchase more than half of the electricity generated by the $11 million project. 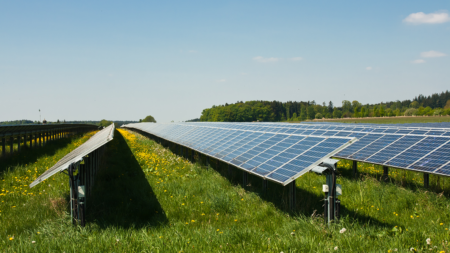 The University of Nebraska at Kearney expects to get about 12 gigawatts of electricity a year from the 5.8-megawatt solar farm through its purchase of about 3,600 “shares” in the project. Continue reading. This entry was posted in Community-Scale Solar, Green Campuses, Nebraska / Midwest News, NewsBlog and tagged Central Community College, Cole Epley, community solar in Nebraska, Kearney Center, Kearney Hub, largest solar farm in Nebraska, NBC Nebraska, Nebraskans for Solar, Omaha World Herald, universities & colleges installing solar, University of Nebraska at Kerney on August 16, 2017 by Helen Deffenbacher. According to Kearney Mayor Stan Clouse, going solar would add just $4.29 per month to electrical costs for an average home that consumes 962-kilowatt hours per month. KEARNEY — Stan Clouse said Wednesday he’s ready to go green at home by signing up for solar-generated electricity, and he’s betting many of Kearney’s residential, commercial and institutional energy consumers also will want to do the same when Nebraska’s largest solar energy array is online in the fall . . . Tim Polz of SoCore Energy worked with the city and NPPD on the Kearney project. He anticipates construction will begin in late March and conclude before September. SoCore operates solar projects in 17 states, including Kansas, and is developing other projects in Nebraska, Colorado, Kansas and South Dakota. Read more here. This entry was posted in Community-Scale Solar, Nebraska / Midwest News, NewsBlog and tagged Kearney Hub, Kearney's community solar project, Mayor Stan Clouse, NBC Nebraska, NPPD, NTV /ABC Nebraska, SoCore on February 2, 2017 by Helen Deffenbacher. 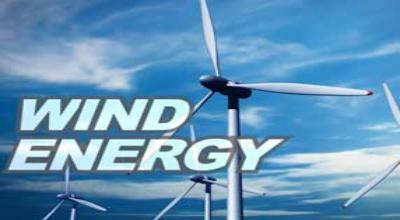 In 1998, there were only four wind turbines in the entire state. Now, there are more than 700. But as Nebraska’s wind farms continue to expand, finding trained people to work them has been a challenge. A unique education program is trying to change that . . . 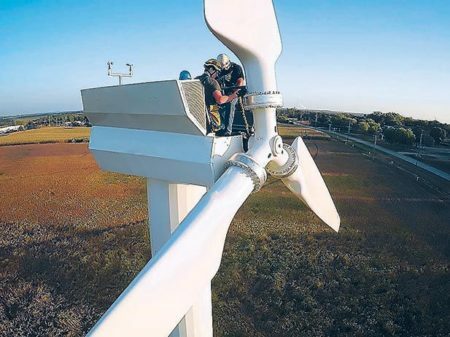 According to the Bureau of Labor Statistics, the demand for wind turbine service technicians is expected to more than double by the year 2024. Last year, turbine service techs took home $53,000 a year, on average. Construction is underway on 81 wind farm projects in 25 states, several of which are in Nebraska. The biggest is the Grande Prairie, near O’Neill, which is expected to have 200 new turbines. Read more. Photo: Students of Northeast Community College’s wind energy technician program train on the campus’ fully functioning 100-kilowatt turbine. Courtesy photo. The college will be expanding course offerings for students in the renewable fuels field. This entry was posted in Nebraska / Midwest News, NewsBlog and tagged Ben Bohall, Central Community College-Hastings, fastest growing jobs in the U.S., NBC Nebraska, NET News, Northeast Community College, Notheast Community College's wind energy technician program, renewable energy development in Nebraska, wind turbine service technicians on December 9, 2016 by Helen Deffenbacher. “We have our primary source right now is coal, we do have some natural gas, this wind energy will obviously be a bigger factor in that portfolio that we have,” said Tim Luchsinger of the Grand Island Utilities Department . . . “Environmentally, it is a clean source, it’s definitely the way of the future and it’s going to be good for Grand Island, it’s going to be good for Nebraska and it’s going to be good for the country,” said Luchsinger. This entry was posted in Nebraska / Midwest News, NewsBlog and tagged Amanda Kerstetter, Grand Island Utilities, NBC Nebraska, Nebraskans for Solar, renewable energy development in Nebraska, Tim Luchsinger on June 25, 2015 by Helen Deffenbacher. The application process is open until June 30th. Eligibility information and the form are available here. HASTINGS, Neb. — The USDA Rural Development through the Rural Energy for America Program (REAP) awarded $146,000 in grants to 15 Nebraska applicants to help with energy conservation. According to a news release, the funds will cover energy-efficient improvements and renewable energy systems installation. The USDA has awarded $545 million to support similar projects worldwide since 2009. For local award recipients, that means helping rural development. To continue reading and view the video, click here. 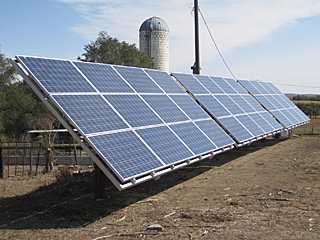 This entry was posted in Nebraska / Midwest News, NewsBlog and tagged farm energy, Jackie Kent, NBC Nebraska, Nebraskans for Solar, USDA Rural Development, USDA Rural Energy for America Program (REAP) on June 16, 2015 by Helen Deffenbacher.